I really hope that you are enjoying Christmas Cookies Week as much as I am! 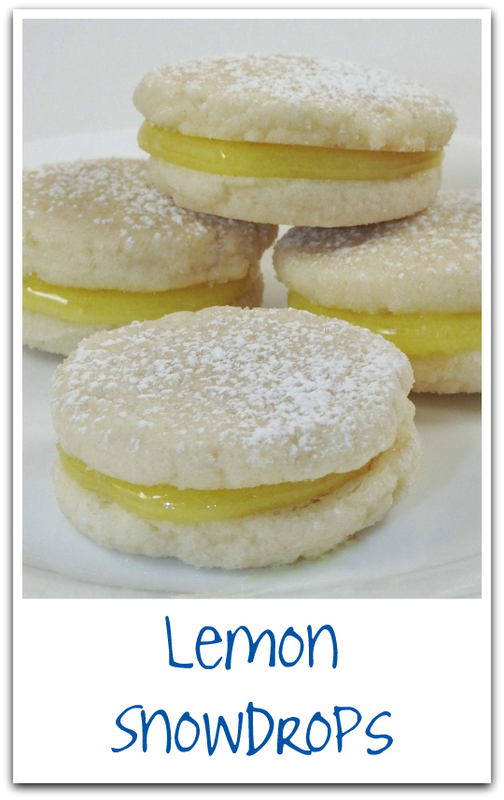 For my last recipe, I chose a recipe that showcased one of my family's favorite flavors, lemon. We are all huge fans of sandwich cookies as well, so I knew this one would be a winner. The dough ingredients are pantry staples, and it comes together so quickly. I used a cookie scoop to portion the dough, which make getting uniform cookies a breeze. I snuck a spoonful of the filling before I started assembling cookies, and I could've eaten the whole bowl, it was so good. These cookies are so tender, they practically melt in your mouth. If you're not going to eat them right away, be sure to keep them in the fridge. Thank you so much to Bernice M. for sharing this recipe. It's definitely going to be made again and again. Huge thanks to Ellen from Family Around the Table and Christie from A Kitchen Hoors Adventures for all their hard work making this event happen. I can't wait to spend some time this weekend going through all the other #FestiveFoodie bloggers recipes and making my to-try list! Don't pass up the chance to win one of the prize packs from our sponsors, Adams Extract, Silpat, Sprinkle Pop and Yum Goggle by using the form down below. If you'd like to see a detailed breakdown of the prizes, go here. These look wonderful!!! The lemon flavor would be a welcome addition to my holiday cookie tray!! Thanks for sharing! These look amazing and easy to make. I should add them to my weekend baking list! So easy, but so good! You had me at "melt in your mouth." That filling looks amazing too. Yum! 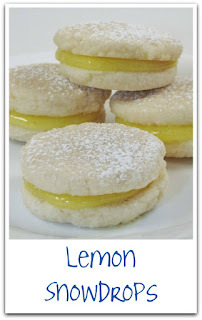 I love me a lemon sandwich cookie. And that filling sounds luscious!! I love lemon! They look like they melt in your mouth! What a pretty cookie for a holiday tray. It looks delicious. This looks like a recipe to make year 'round! I'm a big fan of lemon! I could eat a plateful of these cookies! The filling on these is just lovely. These would be some of my favorites. A bit of sunshine on these cold winter days.